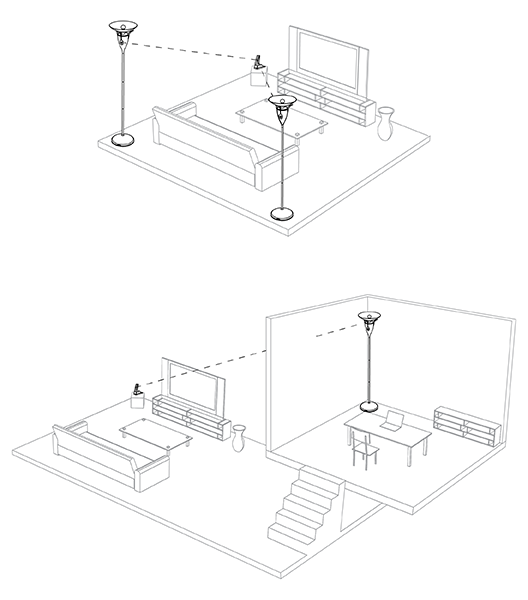 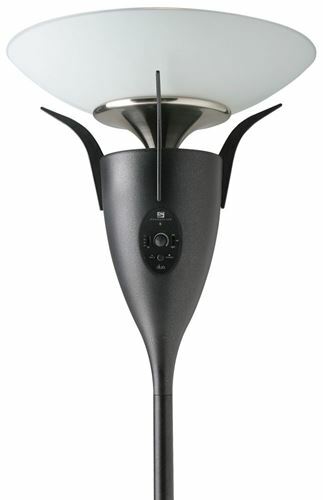 Introducing DUO, the world's first wireless speaker lamp. This unique blend of sound and light brings the rich beauty of audio and the warmth of light to your home - wirelessly. 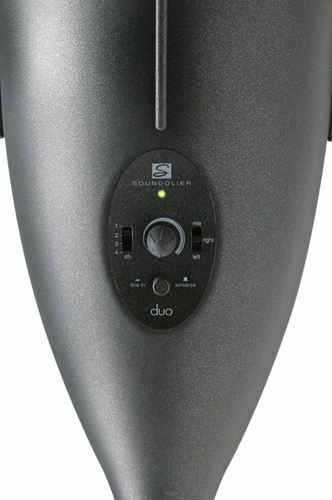 The DUO includes a proprietary 2.4GHz wireless system. 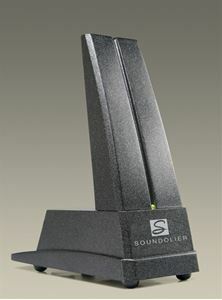 Connect the Soundolier MAESTRO (sold separately) transmitter to any source and the DUO can receive that signal up to 200 feet away such as rear speakers for a home theater surround system. The DUO also includes a proprietary 2.4GHz wireless system. 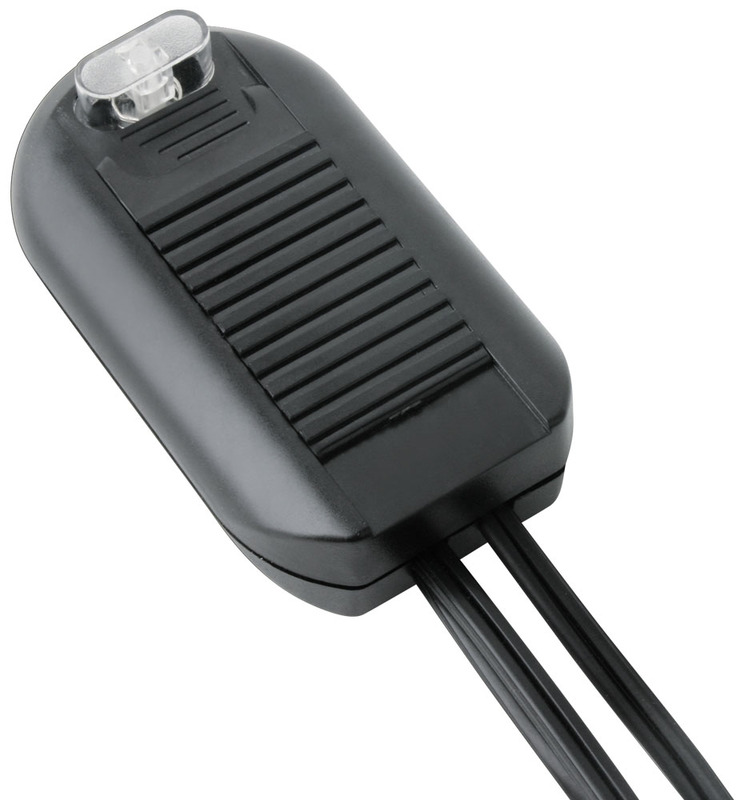 Connect the Soundolier MAESTRO (sold separately) transmitter to any source and the DUO can receive that signal up to 200 feet away. 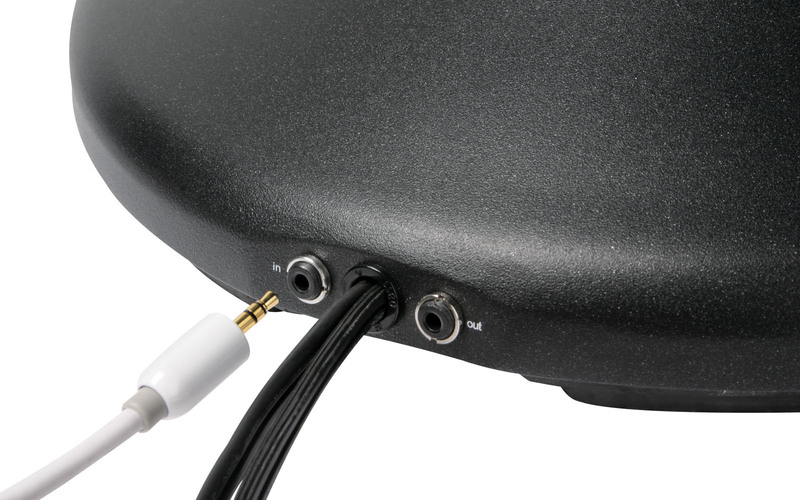 With four selectable channels allow the user to select the best channel to transmit so as not to interfere with other wireless devices like routers or cordless phones.